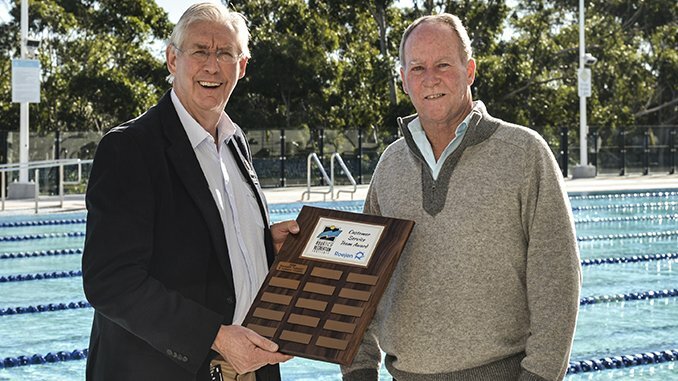 Hornsby Aquatic and Leisure Centre has won the Roejen Customer Service Team of the Year Award at the recent 2016 Aquatic and Recreation Institute Awards. The state awards were announced at a recent aquatics industry conference. The Customer Service Award looked at all aspects of customer interaction across the centre including learn to swim, squad, aqua, fitness, recreational swimming, gymnasium, child minding and reception. “From day one we have focussed staff on ensuring every visitor feels welcome. It’s a simple approach but it works. We have also partnered with Cancer Council, HeartKids and Hornsby Ku-ring-gai Womens Shelter and created some fun events. These have been a great way for patrons and staff to raise funds and feel part of their local community,” Mayor Russell said.